Some observations from the first few days of my epic journey. I’m happy to report that I seem to have packed well. In fact, I think I will jettison a couple of things that I threw in at the last moment, as I am informed by email from the folks at Australia Rail that my bag can weigh no more than 23 kg. to travel on The Ghan. I intend to challenge this rule, as it seems unjust and may date back to the days when The Ghan was actually a train of camels. The $125 I spent on technology upgrades was money very well spent. I invested in a Zagg iPad case which gives me a full keyboard that makes blogging easier, and also provides better protection as I bump through airports and train stations. I absolutely love it! And Apple makes a Camera Connector Kit that lets me plug my cameras SD card into my iPad to download photos. I have used a Panasonic Lumix camera for years. It’s a point-and-shoot that is easy to use and fits in a pocket. I cannot start the day, no matter where I am without a cup of coffee in my jammies and I’m not fussy about instant. 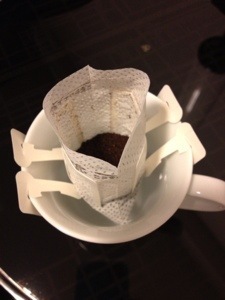 So finding this totally innovative way of brewing a single serving of fresh, drip coffee has made my trip. I just need to find space in my bag for several months worth of these little gems! I do my own travel bookings online using excellent tools like apps from Kayak, Lonely Planet and Expedia. I fully expect some surprises along the way but so far I’m pretty pleased with my choices. 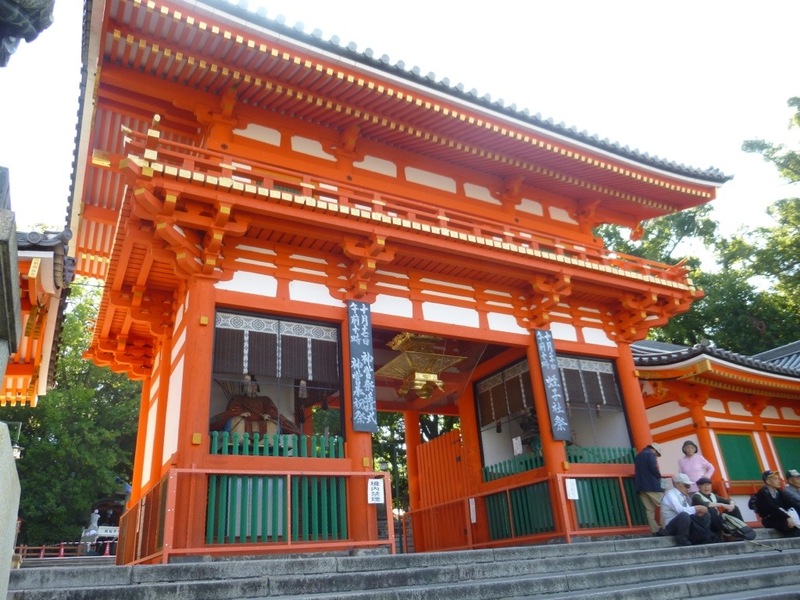 I spent a night in Tokyo after arriving, thinking I wouldn’t make it all the way to Kyoto in my jet lagged condition. Hotel Ryumeikan right at Tokyo train station was an excellent choice with, although diminutive, one of the most efficient and lovingly stocked bathrooms I’ve experienced. I have a thing about bathrooms and while other parents send their kids postcards of beautiful scenes, my kids have been the lucky recipients of photos of bathrooms around the world. A note about photographing bathrooms…it’s best to ensure appropriate attire for taking the photo, as the photographer can be inadvertently reflected in the mirror. I learned this the hard way. 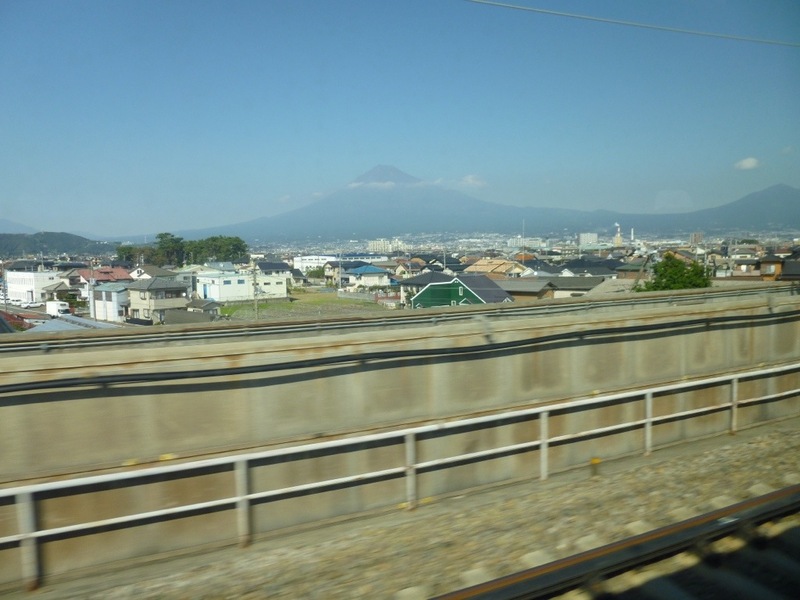 The two hour train ride to Kyoto was every bit as wonderful as I expected and, having secured a ‘Fuji window’ at the Japan Rail station I was indeed treated to a wonderful view. 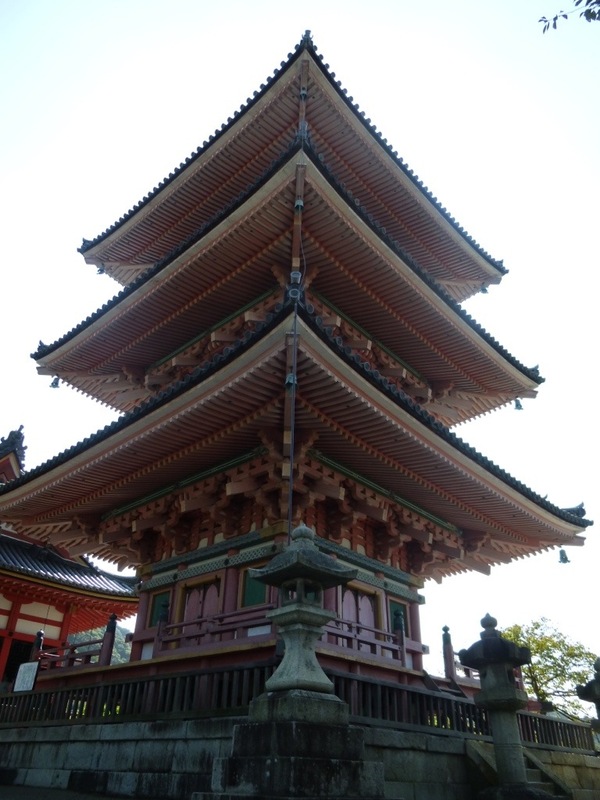 I never travel abroad these days without wishing I had done it sooner, before much of the world started to look so much like America but I am grateful for the work of UNESCO in preserving unique sites and cultures all over the world. 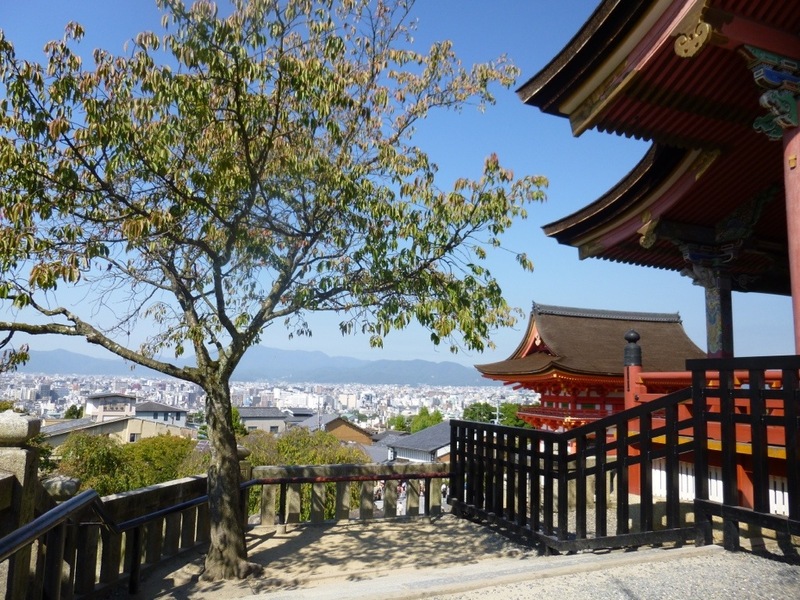 Kyoto is an excellent example. Royal Park Hotel was another very good choice and this was home for three days (too few!) 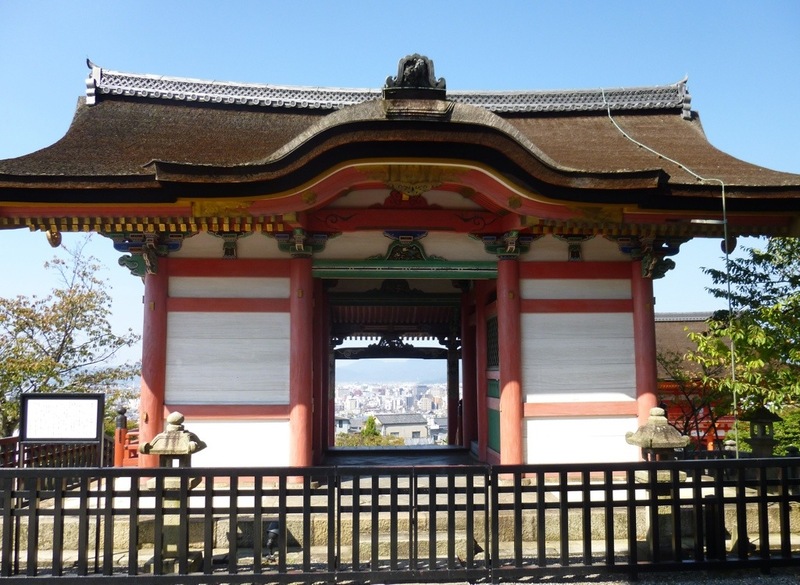 as I wandered the streets of the Gion District, strolled Philosophers Walk and visited as many temples and shrines as I could get to. 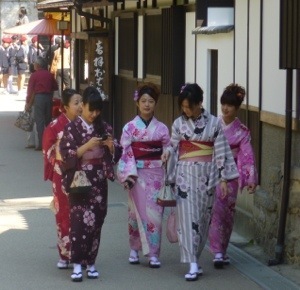 I was delighted to see the occasional man or woman, or group of girls in traditional dress, and thought myself very fortunate to see a group of geishas. 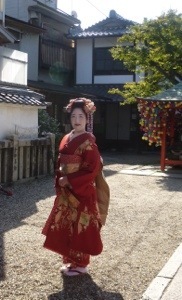 They are not a very common sight any more although tourists can actually be dressed as a geisha (!) and thus adorned are free to roam the streets for an hour. I was tempted but only briefly. 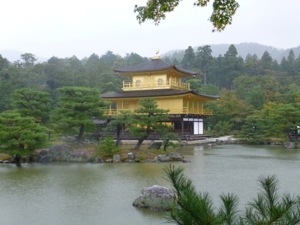 Kinkakuji or The Golden Pavilion is one of the most famous of Kyoto’s many beautiful shrines. 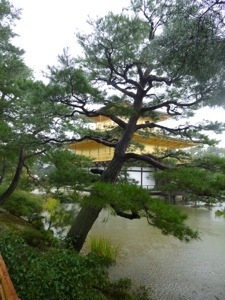 It poured rain the day I visited this beautiful site and it’s fabulous gardens. I completely enjoyed having the place almost to myself so I could linger as long as I wanted. The fragrance of the wet forest reminded me of home. 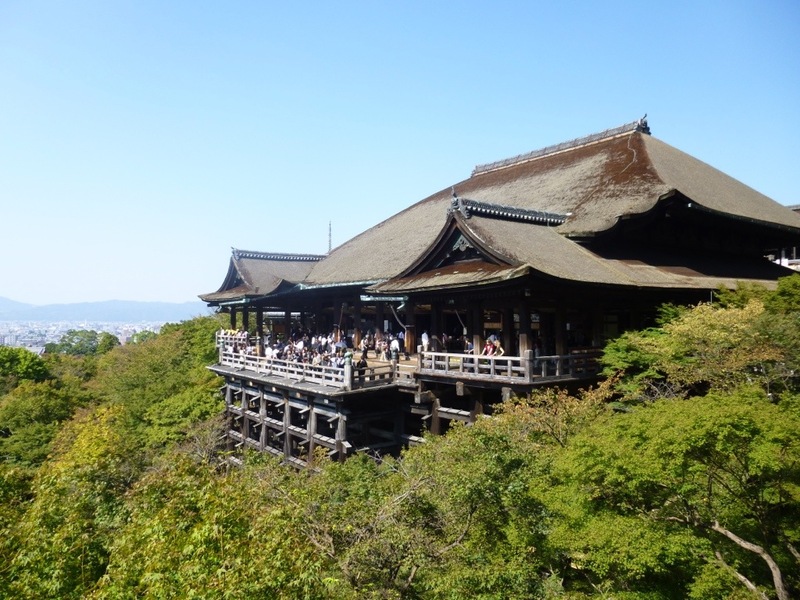 The top floors of this spectacular building are covered in gold leaf. 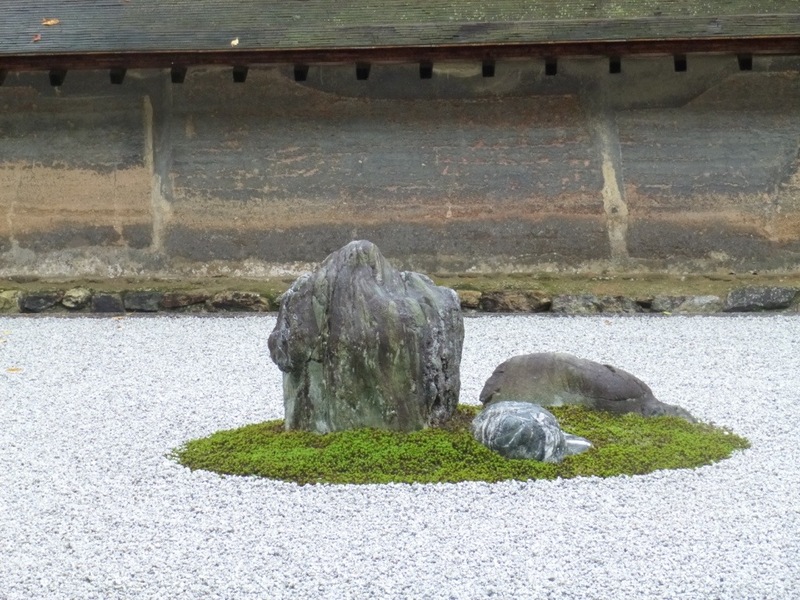 When life gives you rocks…make a rock garden. 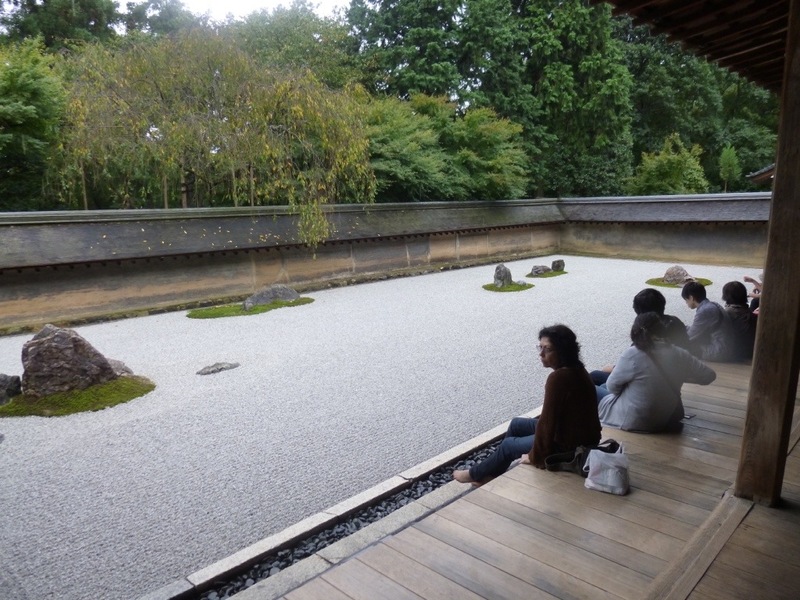 Ryoanji Temple features a rock garden ‘planted’ in the 1500’s. Hard to imagine that the gravel ‘sea’ surrounding the rock ‘islands’ has been in place for hundreds of years. 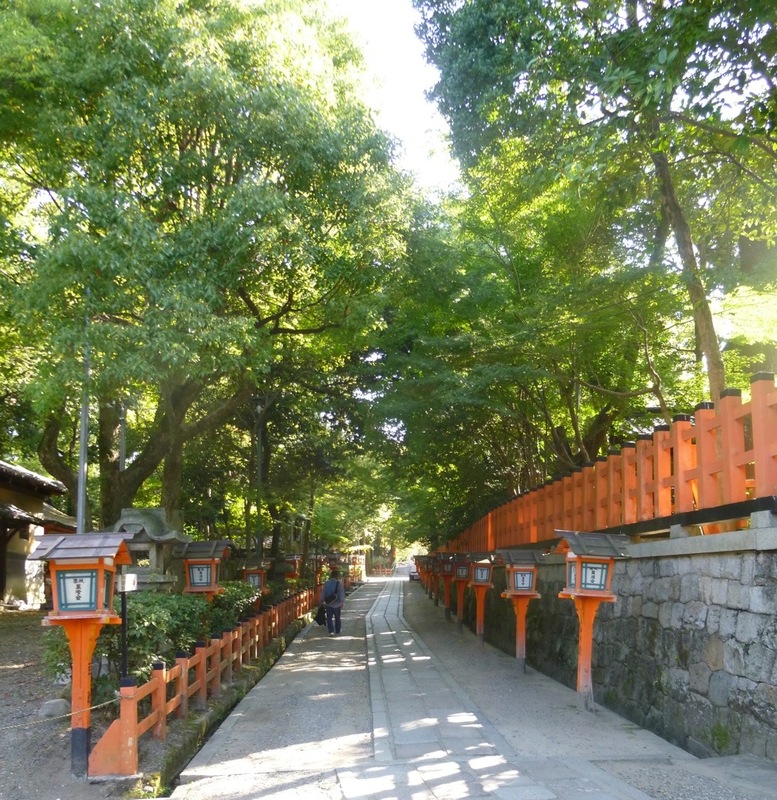 I went walkabout on my first day in Kyoto without a map. I like to do this everywhere I go and it often yields interesting rewards. I’ll usually be drawn to water but in the the event that none is handy I’ll head for the hills. 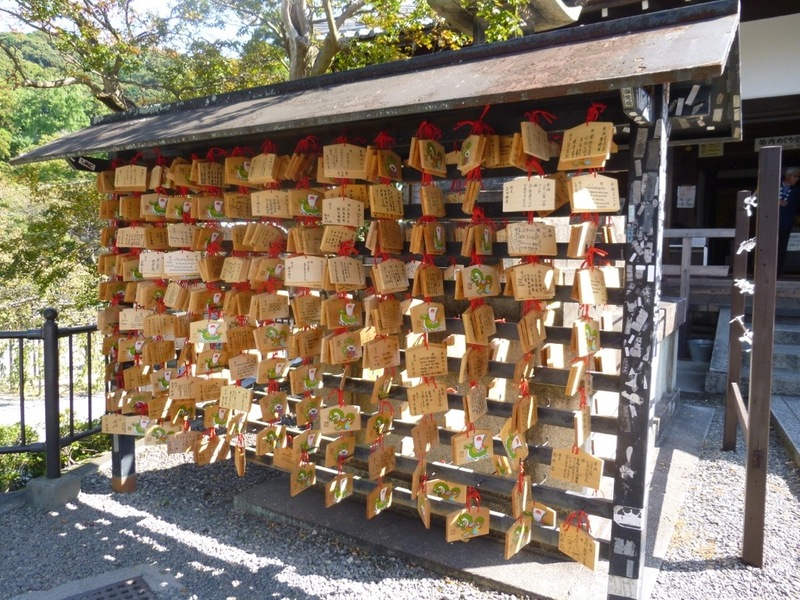 This walk took me to the lush forests and shrines above Gion District where I found the brightly coloured and almost deserted Yasaka Shrine, with it’s emas – wishes written on boards or on paper. 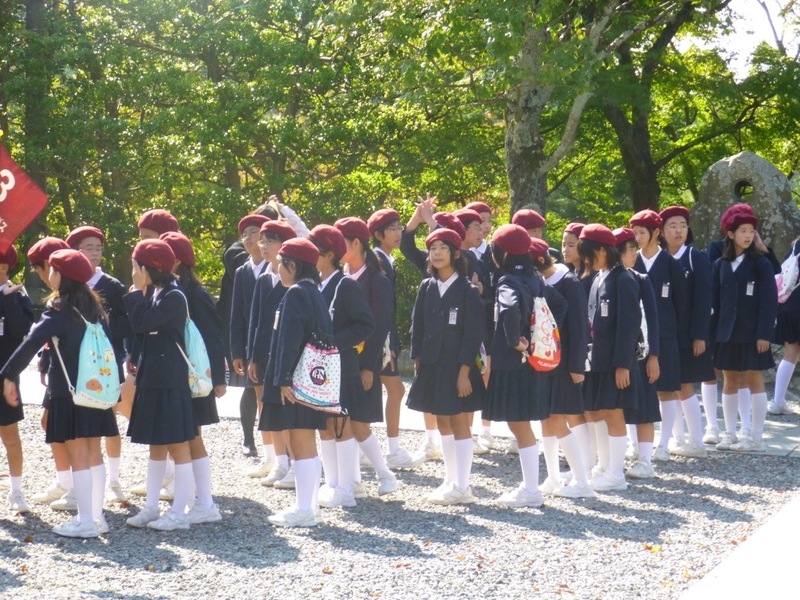 By contrast the Kodaiji Temple high up in the forest above Kyoto was bustling with rows of huge tour buses and mobs of school children in their uniforms. 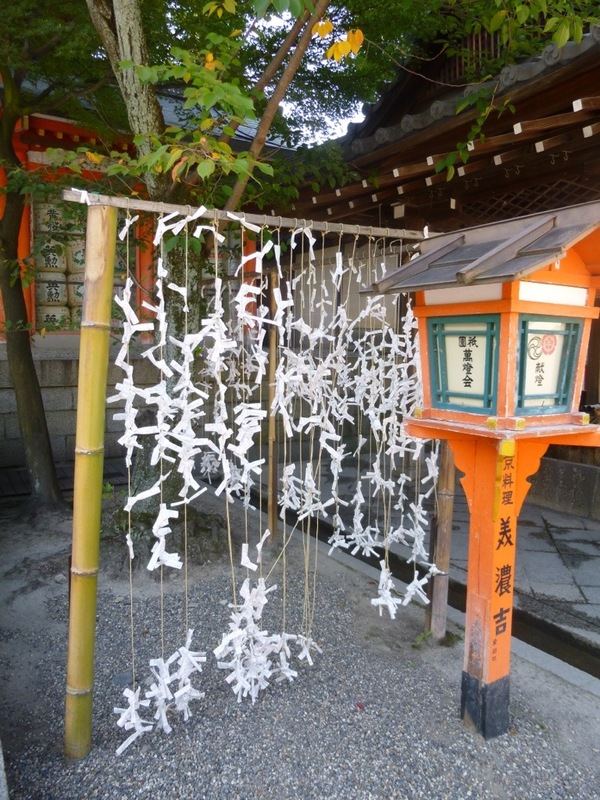 I loved the unique flora in the forests surrounding Kodaiji – so different from the towering conifers of our west coast. 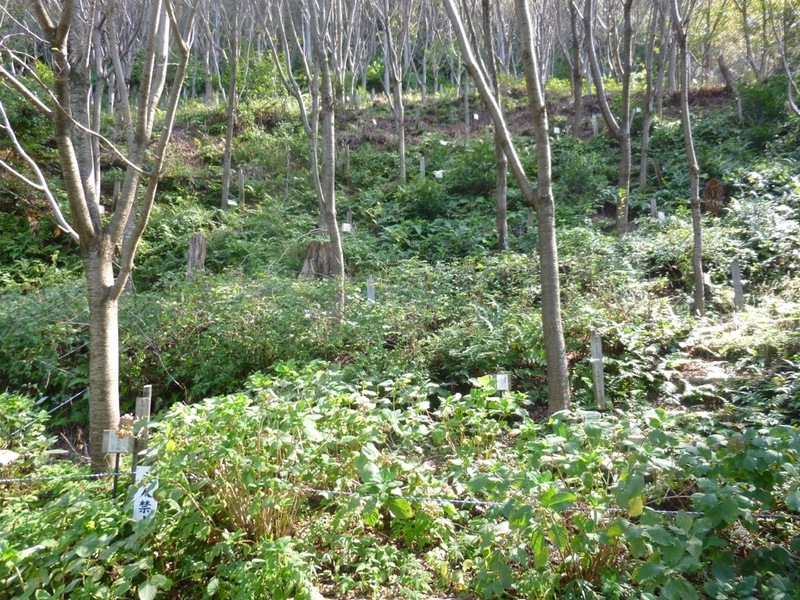 Plants and trees are revered on these tiny islands and cultured carefully. 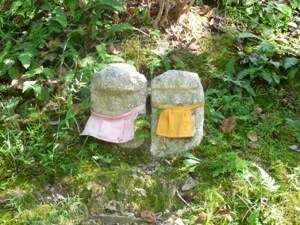 I was charmed by these little ‘garden gnomes’ tucked away in spots along the paths. 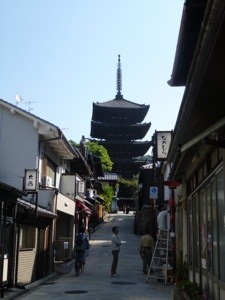 There is so much to see in Kyoto and I know I will come back again. 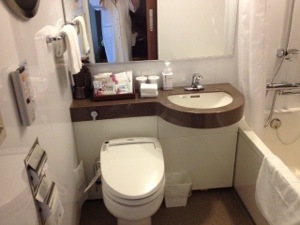 Three days was only time for a sample but I am on my way back to Tokyo for what might be my first booking surprise – two nights at a ‘backpackers hostel’…with a shared bathroom. I’ll let you know how that goes! You are indeed an adventurous broad Terri!! I am so impressed that you are doing this by yourself! It looks like you have made a wonderful start to your epic journey! 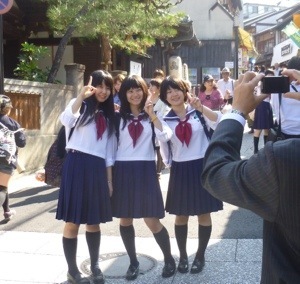 Pete was in Kyoto too once, on a school trip. He thought it was lovely too. Thanks, Corry. I love getting your comments. So nice to see your comment here, O! Miss you like crazy, too. Some unique photos Terri. Love the backstreets tour of a city or two. Pinch yourself daily! Wow! These photos are fantastic! It is a great start to what I am sure will be a fabulous year, Terri. Safe travels! Sure wish I was there with you but I will have to be happy with seeing it on the net. Keep them coming, loving the pics! Keep on moving Sis! Thanks so much, sis. I wish all my sibs could be with me here, too. But hopefully you will enjoy the updates. 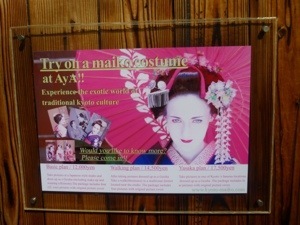 I’ll get on it again – maybe tomorrow on my way to Singapore. Love you, too! Looks wonderful, Aunt Terri. 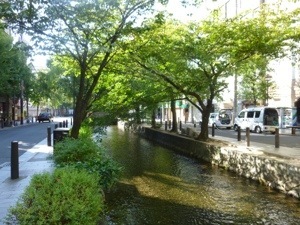 I am looking forward to reading more about your amazing adventure. You’re welcome to share with your group. Thanks for dropping by.